Up North Jerky Outlet has announced a new online marketing program featuring 2.5 lb. and 5 lb. bulk packs of beef and turkey jerky. The new marketing program is timed to coincide with the holiday shopping season. Jerky lovers appreciate the savings and convenience of the larger bulk packs. Probably more of our jerky gets consumed indoors watching football than is eaten out in the wild. Up North Jerky Outlet has announced a new online marketing program featuring 2.5 lb. and 5 lb. bulk packs of beef and turkey jerky. The new marketing program is timed to coincide with the holiday shopping season. During the holidays millions of shoppers go online in search of seasonal snacks and party treats. Premium beef jerky is fast becoming one of the most popular snack foods in the country. The marketing research team at Up North Jerky Outlet finds that holiday party planners are looking to buy beef, turkey and sausage jerky in bulk packs for larger gatherings. Everyday consumers are also buying bulk jerky packs online, according to Scott Christ, National Sales Manager. "Jerky lovers appreciate the savings and convenience of the larger bulk packs. Probably more of our jerky gets consumed indoors watching football than is eaten out in the wild. There may be thousands of hunters in the field, but there are millions of shoppers online looking for holiday snack treats." 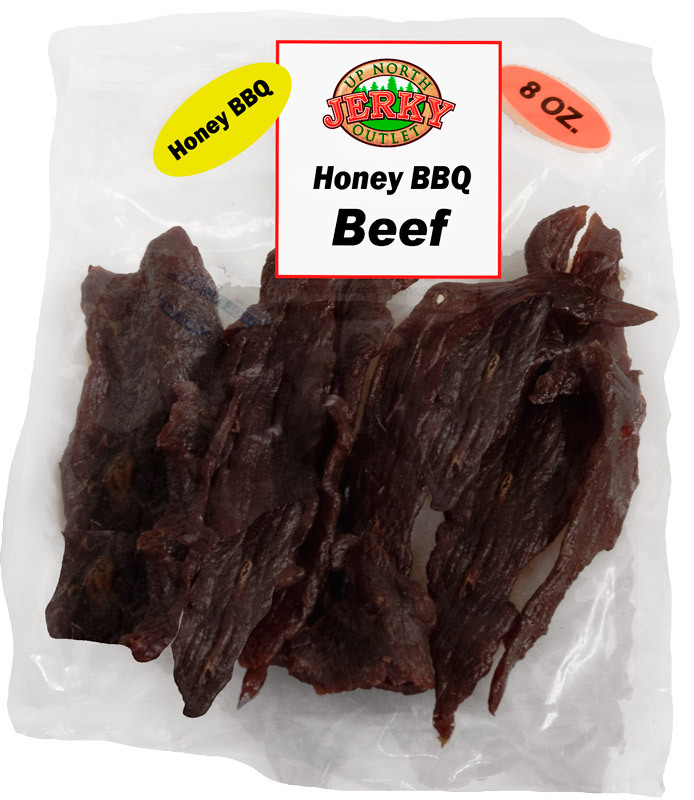 Beef jerky bulk packs are available in several flavors including original, cherry maple, honey barbeque, blazin’ hot, teriyaki, peppercorn, sweet n hot and Cajun brisket. 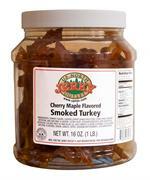 Turkey jerky is available in cherry maple, honey barbeque and original honey glazed. In addition to beef, turkey and game jerky, hunters sausage is available in a variety of flavors and sizes, including bulk packs up to 5 lb. 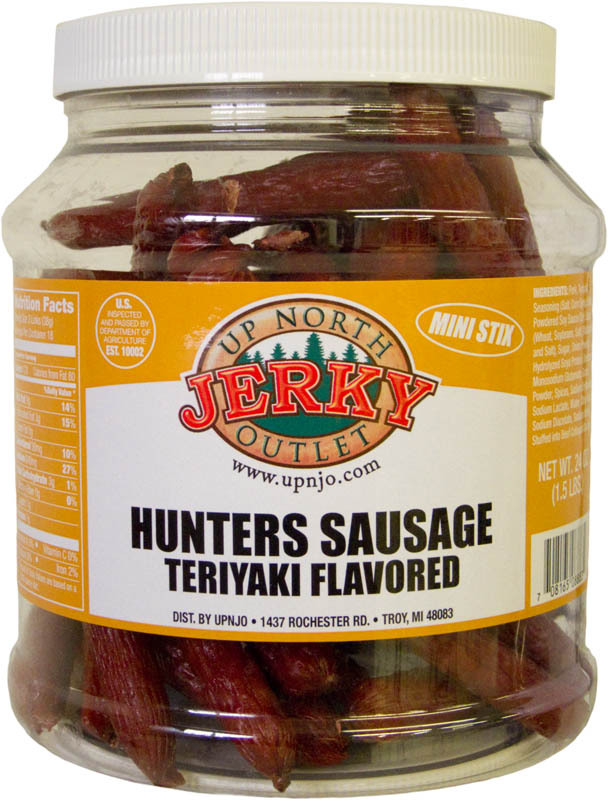 Up North Jerky Outlet mini hunters sausage are delicious 4 inch jerky sausages available in a variety of flavors including original, teriyaki, hot, jalapeno, garlic, cherry and pepper bacon. Mini hunters sausages complement the regular Up North Jerky Outlet product line of beef, turkey and wild game jerky. Scott points out that many customers buy a bulk pack of hunters sausage along with a pack of beef, turkey or wild game jerky. "Hunters sausage comes in so many delicious flavors and is less expensive than beef or game jerky by weight." 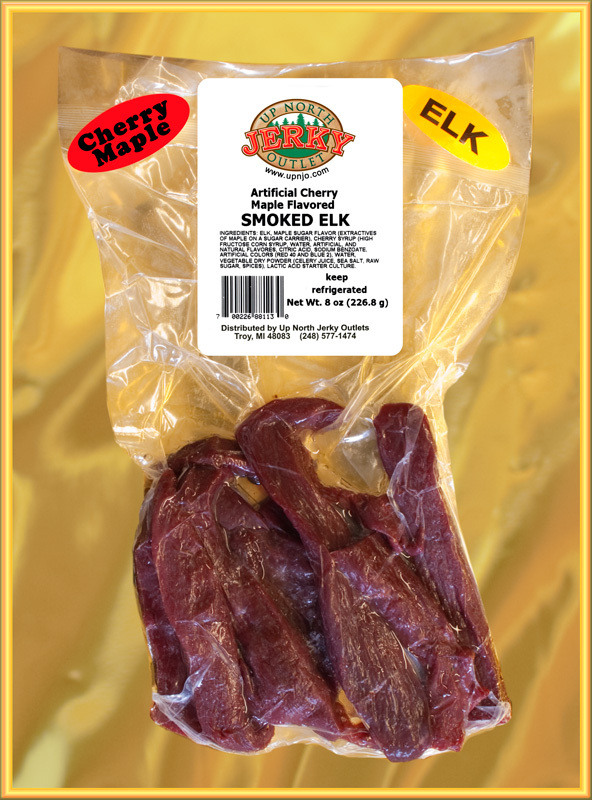 The increase in flavors and types of jerky is directly related to the old time smokehouse tradition of Northern Michigan. Hunters headed to Northern Michigan have long known about the custom smokehouse tradition of Michigan beef, turkey and wild game jerky. 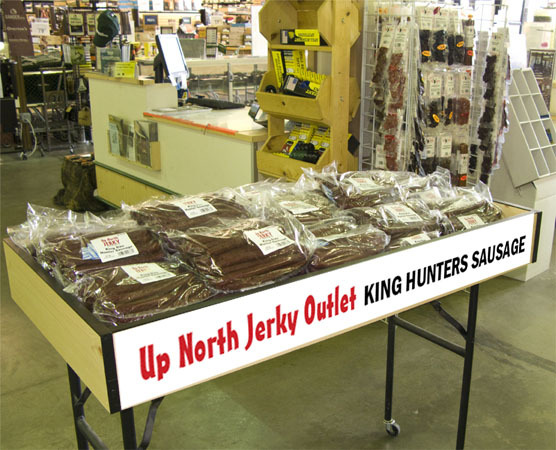 Up North Jerky Outlet has captured that tradition and made it commercially available online or in retail stores nationwide. Authentic game jerky from Northern Michigan is world famous for its unique flavor and texture. Up North Jerky Outlet venison, elk and buffalo jerky is available in a variety of flavors and styles. The premium variety is the Gourmet Gold Series product line. Choice cuts of whole muscle meat are marinated with special spices and naturally smoked to perfection. The cuts are a little thicker and the drying process is not taken to completion. The result is a thick cut smoked jerky that is moist and tender with a wonderful flavor.